Offering 12 years of experience teaching yoga, Satya de la Paz August inspires students to fall in love with their bodies and their practice. Deeply inspired by her years as an educator in West Oakland, she infuses dynamic alignment, chanting, storytelling, and community-building into her classes. Satya offers Yoga as a means of collective and personal liberation and decolonization: accessing our innate healing capacity through therapeutics and compassion, meeting media-driven body shame through mindfulness and affirmation, freeing the heart of resentment and blame, and healing the mind of ableist and hierarchical ways of moving and acting. Multiple expressions of poses are offered as students are encouraged to listen to their own body wisdom and access needs. Satya is deeply grateful for her mentor, Abby Tucker, as well as all of her dharma and movement teachers, Sally Kempton, Rob Preece, and Sianna Sherman. 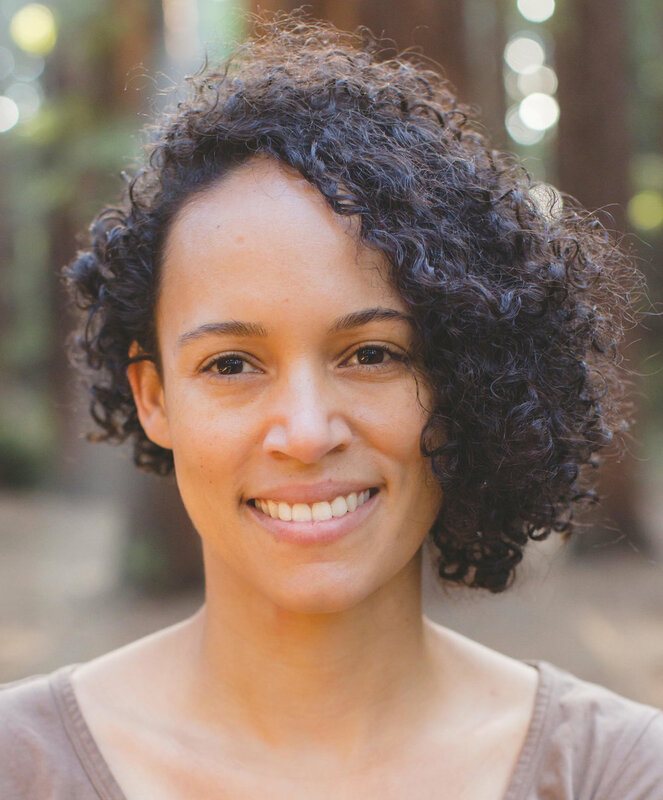 Drawing from the traditions of Anusara Yoga, Buddhism, and Tantra, she empowers multiracial, multi-gender, and multigenerational groups to awaken their true nature of awareness and bliss. Off the mat, Satya is active in social justice movements, dances, gardens, and cooks.